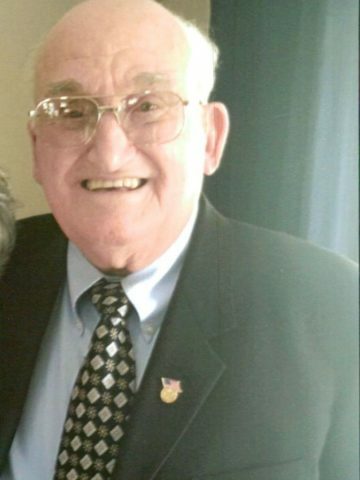 Leland T. Hollows age 86 of Cross Plains, passed away on June 5, 2017 surrounded by his loving family. He was born on October 19, 1930 to the late William and Lillian Hollis in Clay County, Tennessee, right outside of Celina. Growing up on a farm with thirteen brothers and sisters, he was taught what a hard days’ work was and how to provide for his family. When he was old enough Mr. Hollows was called up to serve his country in the United States Army. Mr. Hollows married the love of his life Ms. Betty Jo Sloan in September of 1951, and together would raise three wonderful children. He enjoyed spending time outside, fishing and landscaping around the house. It was told you could give him a twig and he could make it grow. He had an unbelievable memory and gift for historic facts when it came to the different wars and especially to Biblical History. Knowing the history buff Mr. Hollows was, on his 78th birthday the family left the house very early, drove back to where he was born visiting the house he grew up in. They continued their journey to each house he had lived in, ending back in Cross Plains. The family cherished the memories that were shared and made that day. He wasn’t shy about what he thought and his love for the Lord and the Christian life he lead. A member of the Church of Christ for 66 years and a Christian all of his life, Mr. Hollows held Bible study sessions with anyone that needed help learning and understanding the Bible. He knew who held his eternal life and wanted to take everyone with him. Mr. Hollows will forever be remembered as a devoted husband, father, grandfather and great grandfather, devoted Christian and friend. He is survived by his wife of 66 years, Betty Sloan Hollows; children, Wanda Diatikar, Terry T. (Cynthia) Hollows, and Ellen (Vernon) Yates; grandchildren, Kim (Josh) Volner, Jenny (Arron) Townsend, Erik (Amy) Diatikar, Kyle (Jo Carol) Diatikar, Jarod Hollows, Hayden Hollows, Jermey Yates and Bryan Yates; great-grandchildren, Taylor Townsend, Isaac Townsend, Jack Townsend, Bella Zizzi, Gabby Zizzi, Gianni Zizzi, Kailey Diatikar, Hayden Diatikar, Chad Evitts, Addy Yates and Neyland Yates and eleven siblings. A Life Celebration will be held at 2:00pm on Friday, June 9th in the Chapel of Cole and Garrett Funeral Home in Goodlettsville with Brother Wesley Garland and Bro Roy McConnell officiating. Burial will follow at Forest Lawn Memorial Gardens with grandsons and great-grandsons serving as pallbearers. The family will receive friends on Thursday, June 8th from 4-8pm then again on Friday from 10am until the time of service. What a Great Legacy for a Great Husband, Father, Grandfather, and Brother. Prayers for All of you. I know you’ve already seen Steve up there. He loved you very much. I don’t remember the whole story as to how or why he called you Uncle Cobb growing up. When I came into the family in 1981. I knew you as Uncle Leland. A sweet, soft spoken man who love to be funny. His laugh was infectious. I will miss you Uncle Leland. We were so blessed to have known both he and Mrs Betty. They were so good to us and were wonderful neighbors to us and to our children. We love them both. He will definitely be missed! Leland and Betty are some of the finest people that I have ever met. The earth has lost someone wonderful who loved the Lord, but heaven has gained. I am just now hearing of his passing and am so sorry that I was not able to come and visit with the family. I appreciate how Leland and Betty shared the Gospel with Gary and I.
I am so sad for all of the family; you are in my prayers. You are all in my thoughts and prayers. God bless all of you with comfort at this time. I would like to express my deepest and heartfelt condolences to the family of Leland Hollows. I am truly sorry for the lost that your family is feeling. Experiencing the lost of a beloved family member is one of the hardest thing that any of us can go thru. And because of that my thoughts and prayers are with your family. Take comfort in knowing that God never intent for us to deal with sickness or death. But have assure in the wonderful promise that God holds out to each of us. He promise us, that very soon he is going to reunite us back with all those loved ones that we have lost. (John 5:28,29) Until that time, cherish all the wonderful memories that you have of Mr. Leland. These precious memories will console the family in the day’s ahead.